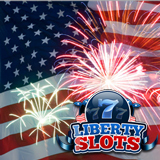 One Liberty Slots Casino had a 4th of July he won't soon forget after a nearly $100,000 winning streak that day. Adam S. deposited his usual $25 and ended the night with $97,000 in his account. Adam has been playing at Liberty Slots a couple of times a week since 2013 but never had a win like he had last Saturdayon the Mile High slot game from WGS. Adam made his usual $25 deposit and claimed a 100% match bonus to give him $50 to play with. “That usually lasts me a couple of hours, which is what I’m looking for” he told a Liberty Slots customer service rep. “If I get a couple of hits I can stretch it out, maybe even over a couple of days, but for me it’s a relaxation thing”. 200% bonus with 100 free spins on Funky Chicken slot from WGS available through July. But this was not to be an ordinary Saturday evening. Playing close to the minimum bets, often as little as $0.20 per spin, Adam stretched his bank roll over a couple of hours. Then, about 11:30 pm, Lady Luck smiled and a $1.25 wager on Mile High delivered 5 pilots symbols across 3 separate pay-lines. Combined with the Select-a-Play Passenger and Hostess bonus this resulted in three $6,400 pay-outs on the same spin – over $19,000 from a $1.25 bet. At this point Adam decided to really fly high, pushing his bet ever upwards. Less than 25 minutes later he was rewarded with free spins and a single pay-out of an additional $35,000. As his winning streak continued, Adam hit major wins on Lucky Lady, Fat Cat and Shaaark! and closed off his session with a real balance of $97,000. If you fancy a crack at a record, Liberty Slots is offering a 200% bonus plus 100 free spins on the barnyard-themed Funky Chicken slot. To claim this bonus, players must enter coupon code CHICKENSPINS when they make a deposit. Liberty Slots has online slots and table games from Wager Gaming Technology including favorites like Amanda Panda. The mobile casino now has more than thirty of the best games from WGS including Cherry Blossoms and Cleopatra’s Pyramid.